The Old Lake County Courthouse is arguably the most recognizable landmark in Northwest Indiana and has been widely used as the symbol of Lake County and the City of Crown Point, Indiana. Built in the 1870s, today the Lake County Courthouse houses stores and shops and also hosts weddings and receptions. 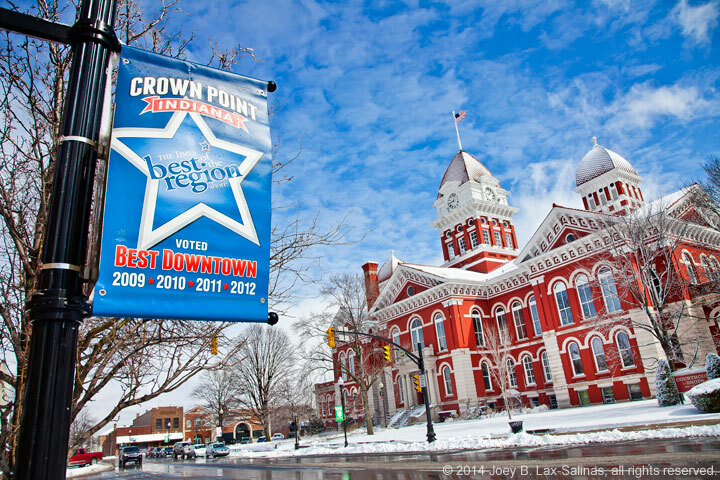 When driving through the heart of downtown Crown Point, the Old Lake County Courthouse is front and center in the downtown square along US-231 and is surrounded by other late 19th century and early 20th century buildings. View more photos of Crown Point, Indiana.